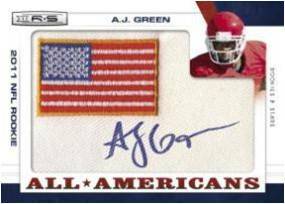 2011 Panini Rookies & Stars Longevity Football isn't a new product. Rather, it's a value-infused re-release of 2011 Rookies & Stars offering collectors greater odds. Hits still come four per box, but Longevity boxes have just ten packs instead of the original 24. However, hits still come four per box. 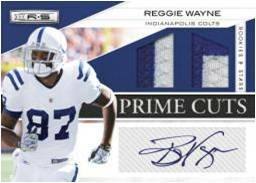 Collectors can look for a variety of premium cards, including rookie Jumbo Prime Swatch cards and SP Rookie Longevity Signatures. 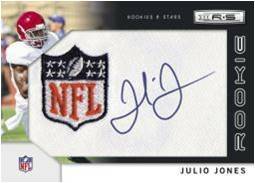 SP Rookie Longevity Signatures see top rookies like Blaine Gabbert, Julio Jones and Jake Locker signing manufactured team patches. All of the top rookies promised for the Jumbo Prime Swatch cards. Autograph and memorabilia cards fall at rate of four per ten-pack box. 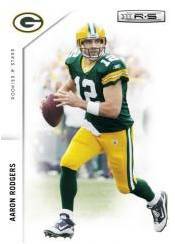 The earlier configuration of 2011 Rookie & Stars release saw four hits per 24-pack box. Every pack has a rookie card. 2011 PANINI ROOKIES & STARS LONGEVITY FOOTBALL HOBBY BOX CAM NEWTON AUTOGRAPH?